I received the Marketing Week Live! mailer through my letterbox this morning – 2 weeks before the big event. I can’t recall if I’ve received any prior to this, but this one grabbed my attention. I’m sure many of you have received the same mailing – final campaign efforts are kicking in to ensure pre-registrations are hitting target. 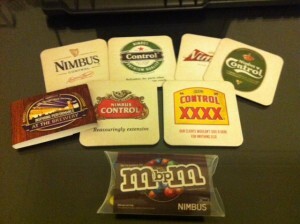 Last week I attended Nimbus Partners’ “Inspiring Performance” event at the Brewery – a Business Process Management event. As you can imagine I’ve been to many events, but this one really stood out for me and really set out to impress. The detail and thought behind the event concept and format was excellent and in my opinion they got all the elements of the event mix right – from the venue, the style of presentations, the catering, the after party - sorry, ‘networking’ – and of course the outstanding entertainment by Naturally 7.